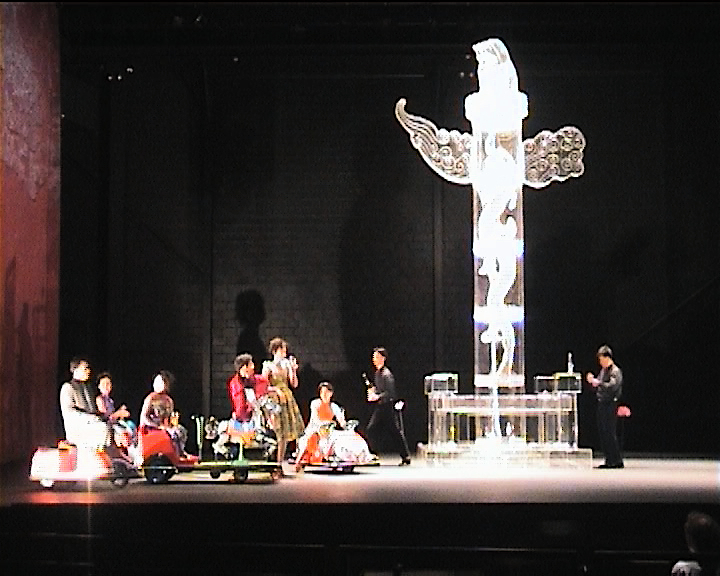 The festival offered the American premiere of The Night Banquet, a brief but fascinating chamber opera in a fanciful and mostly compelling production. … The Night Banquet is wonderfully strange and ultimately involving. Opening the festival was the exquisite Yi Yan, The Night Banquet, created by the director Chen Shi-Zheng. En route to Paris and Brussels, The Night Banquet proved to be a tour de force of considered direction and skilled composition. The Night Banquet is an extraordinary and exquisite work. A tour de force of considered direction and skilled composition, the opera seemed to suspend time, reaching into the human soul to deliver a sorrowful tale of eternal regret. With Ye Yan / Night Banquet, Chen Shi-Zheng creates… a profoundly brilliant piece of political theater that explains the East-West conflict through a wonderful parable.